This past week I was chatting with an educator in Australia about many things, including the unique school program I’ve been a part of for several years. When she asked me if I blog about it (as she was interested in learning more about the program) I had to say no. It got me thinking that maybe it was about time I at least wrote a post. I’ve had many people ask me about the logistics of our school program and how it looks for the kids, parents and teachers. So it’s about time I put pen to paper…or rather fingers to the keyboard, about this fantastic school program. Stony Creek is a Program of choice within the Parkland School Division. The structure of the program involves 2 days of classroom instruction where students are in the classroom learning Social Studies, Science, Art and Gym. 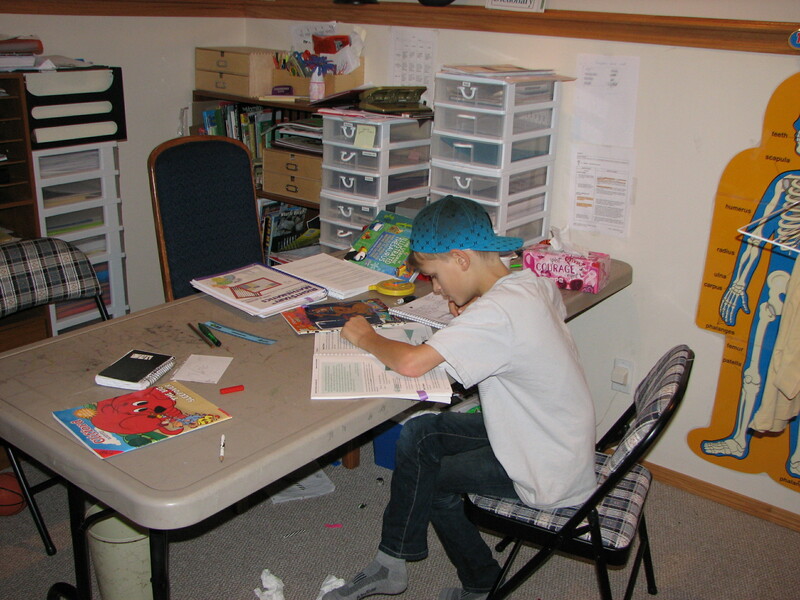 The other three days a week students learn at home, in essence home school, in the subjects of Math, Language Arts and Health. But this doesn’t explain what the program really is. Part of the beauty of the program structure is that once a month every parent involved in the program is in the classroom with the kids for the day (about 40 families presently). And on the other end, also once a month, the teacher comes to each student’s home so the student can share his home school work with the teacher. In practice, this lends itself to the formation of a community where I, as a parent, know each of the kids in the classroom quite well. I also know the teachers on a level that normally I wouldn’t by having them in my home every month. Typically the same two teachers are teaching the kids from grades 1 to 6 so they get to know each child’s learning style, strengths and areas for growth quite well over the years, as well as getting a picture of their family life. And it’s even better for the kids who are beyond excited every month to show their teacher not only their school work, but their pets, their hobbies and anything else they can drag out. My kids always make tea for their teacher and love sharing a cup while they show off their projects. And they equally love the days I am in the classroom with them. One of the best features of the program, for me, is the extra time it gives me with my kids. 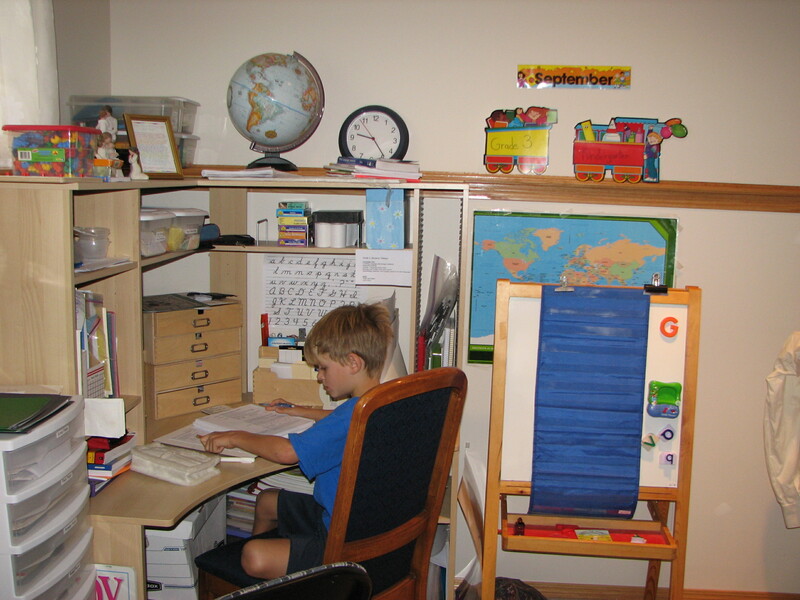 Not to say that homeschooling is not a pile of work……it is. The prep alone is time consuming, but the rewards make it so worth it. My oldest son Ben just entered “regular” school for the first time this year and is now realizing how lucky he was to have 6 years at home and in the Stony Creek Program. My son Noah, in Grade Three, continues to enjoy the program. 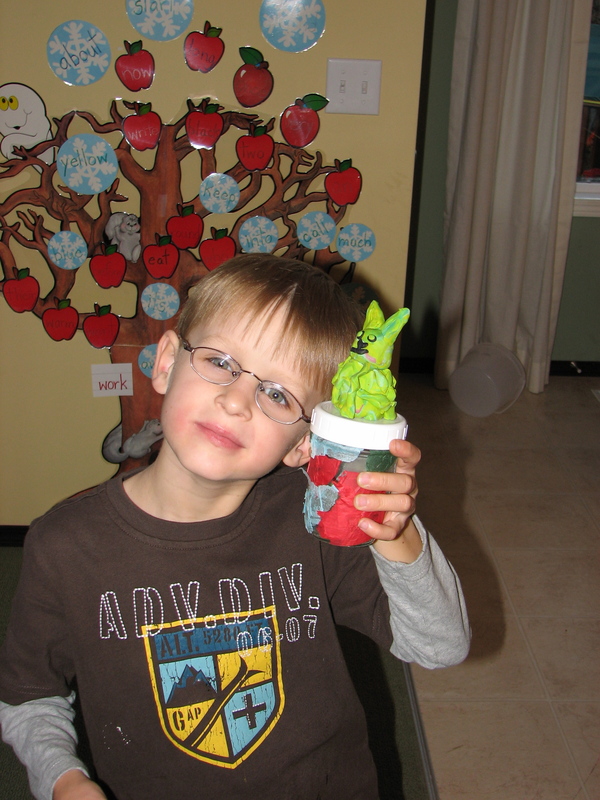 He can explore topics he enjoys like History and Mythology, while covering core learning objectives. I can tailor Math to his learning style and work one on one with him until he really understands concepts. I have a choice as to what type of resources best fit my child for these subjects as long as Alberta Learning Objectives are met. It really is personalized, child centered learning, at it’s best. And the mix of one on one learning at home and group learning at school is phenomenal. In the years I have been involved in Stony Creek I have come to have a deep appreciation for the teaching profession. Many of my friends and family are teachers and many teachers I have worked with have become friends. I have spent amazing days in the classroom with kids I have come to love over the years, and have equally amazing days at home seeing my kids delve into areas of interest that we would not have had time to explore if they were in a classroom full time. 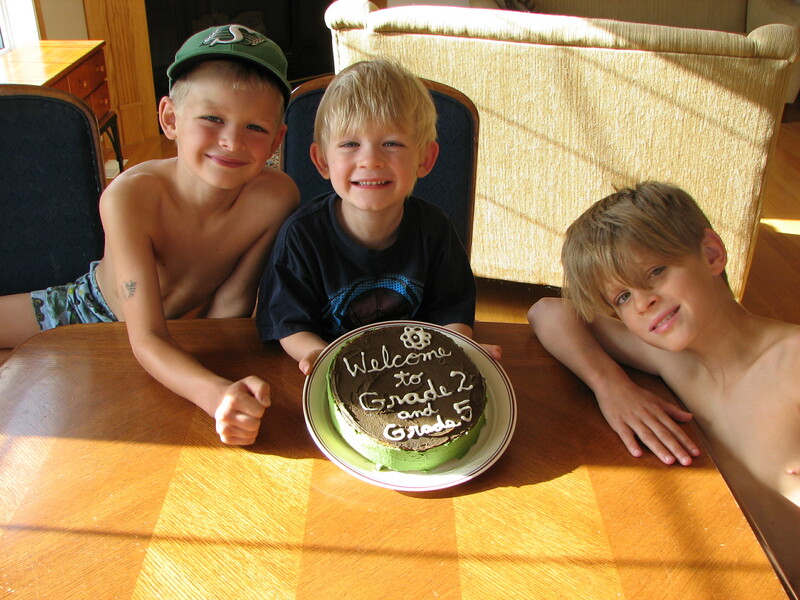 In our house, the first day of school calls for cake for breakfast. Every year until this one, it was only me that had to deal with sugar laden kids all morning on that first day. 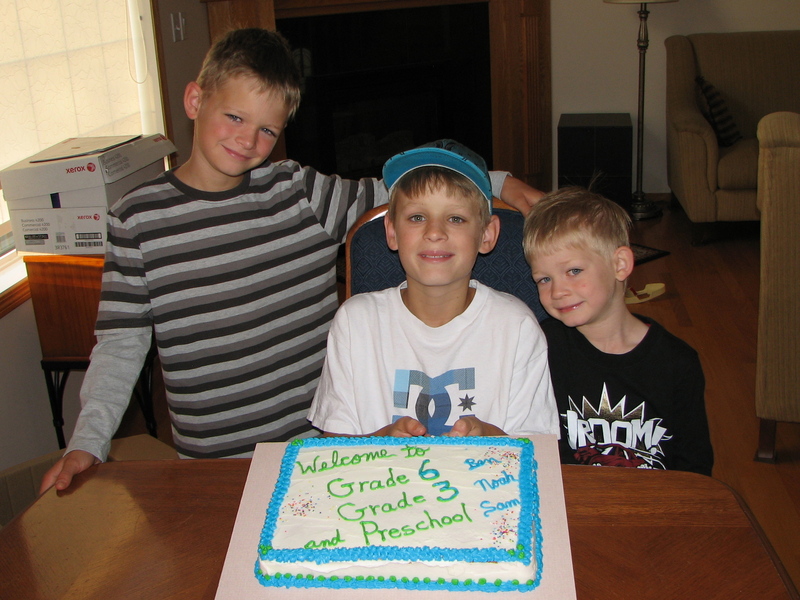 My boys have always been home on the first day as it was always our first day of homeschooling. We would have our cake and discuss what we were excited to learn about this year. The boys could throw any topic out there they were interested in and we would work it into the curriculum in the following months. This year is a major change for us. While the cake was still the main course this morning, shortly after we filled up on sugar, I left with Ben to bring him to his new school. This is the first year he has ever gone to full time school. After settling him in and meeting his teacher I walked away knowing that it would be an exciting day for him……And then I cried like a baby. I know many parents do this when they first bring their child to Kindergarten so I guess I had 6 years worth of tears to shed. Ben is happy to go to school and it was really me that had to struggle with the decision. It is a letting go of control for me to have the bulk of his education in someone else’s hands for the first time. I am used to planning all his Language Arts lessons, picking novels for the year and teaching him math with a curriculum that I felt suited his learning. We embarked on the journey together every year, and now he is embarking on his own. It really is the best decision for us all right now. 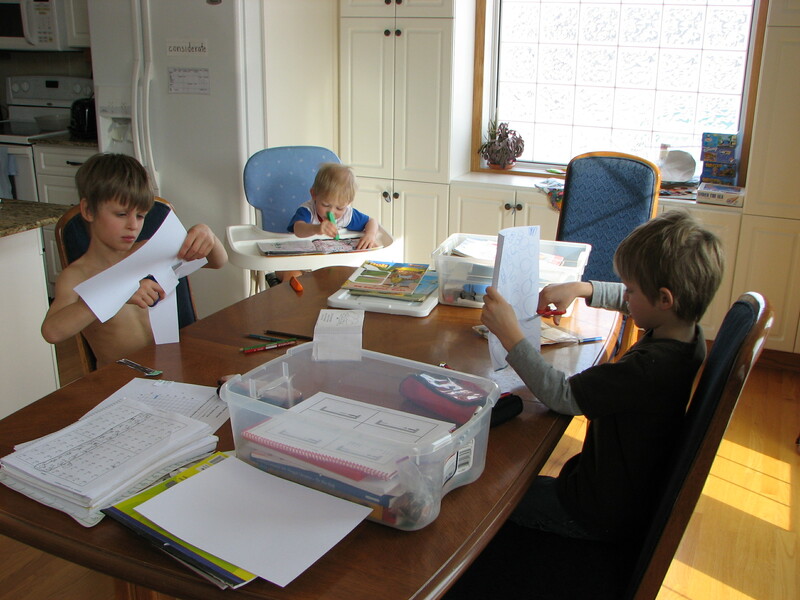 I am back working full time and the work load of three kids home schooling would be too much. 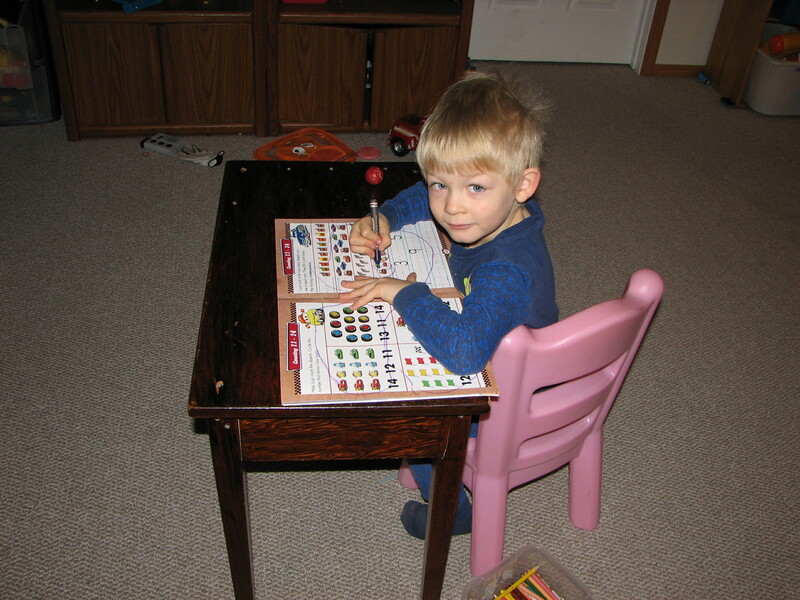 Noah is still attending the Stony Creek program and is home schooling three days a week. I am truly looking forward to the extra time with just him. 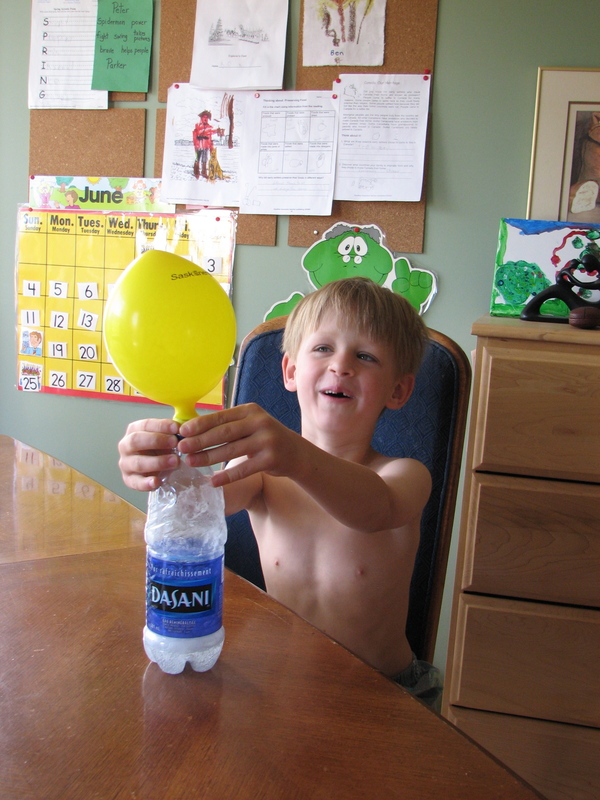 He is such an enthusiastic learner and excited about so many things that it spills over to me as an educator. Did I say alone with Noah? Well, Sam is just as enthusiastic. He takes just as much planning as his brother as he refuses to be left out. So really, we are still homeschooling two! So now I sit with my coffee, ready to start off the homeschool year minus my oldest. I miss his presence and miss the dynamic of the three, but know that this year will bring many new learning adventures for us all.